Our new mobile stats page provides Chargify analytics on the go. This new view is a more elegant, universal (works on all smartphones) solution to our older, deprecated iPhone app. In order to access the new mobile stats, use your phone’s browser to login to Chargify and visit your site’s dashboard. Click on the “Launch Mobile Stats” button now located towards the top of your dashboard. To instantly access your mobile stats in the future, you can save this page as an icon on your phone’s home screen. This is demonstrated in the animation below. Important Security Note: The new mobile stats page uses a secure token to authenticate you, so you will not need to login again once you have accessed this page. This also means that anyone with the direct link will be able to view the stats without logging in. If you intend to share this page, be careful. 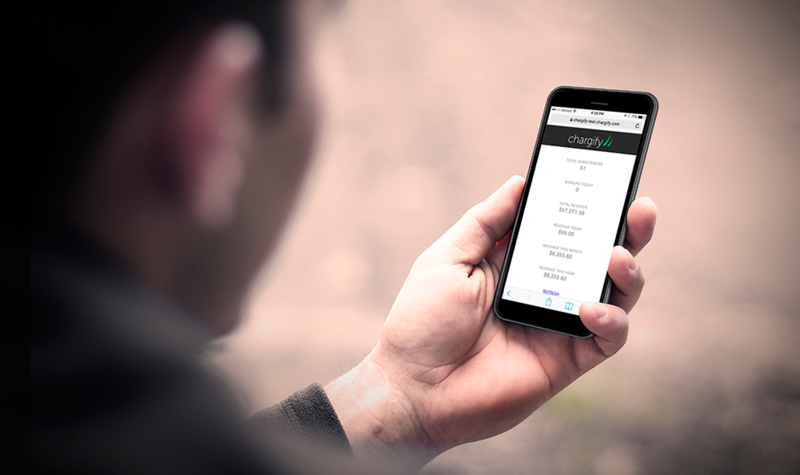 You can reset the secure token at anytime by changing your Chargify password. Are there any mission critical stats that you would love to see added to this view? If so, let us know in the comments below.